I know. You want a little something for the table that is pretty, but you don't have time to arrange the flowers. You don't even have time to think about it. Well here is the perfect way to dress up a grocery store petite bouquet. This lovely petite bouquet was a gift but I know it came from Whole Foods Market because of the printing on the cellophane, Ah-ha. Psst...they are only $10.00, and all you have to do is take the cellophane off, re-trim the stems, take the rubber band off, pour some water and plop them into this really cool Mercury Glass vase. And you can buy a vase like this (click here). It looks vintage, and gives the arrangement a touch of silver with swirls and bubbles. Set the vase on a little 'silver' tray from the Dollar Tree and your arrangement has class. You'e done in about 2 minutes and your table looks fabulous. 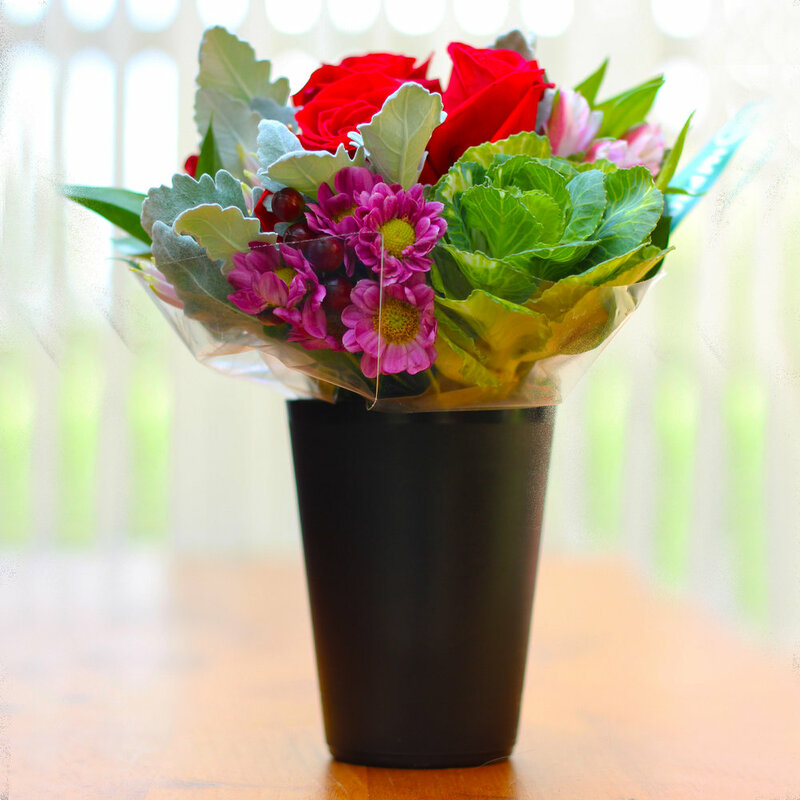 This one is fast and easy, so if you have your petite bouquet, your vase and tray, you are ready. Hold onto your pants, this is going to be fast. The bouquet comes in a little black platic cup. Pour water in vase up to 2 inches below the rim. Take out of cup and cut cellophane off. Trim stems and take rubber band off. Keep bunch in place and slide into vase. Here's a bird's eye view. 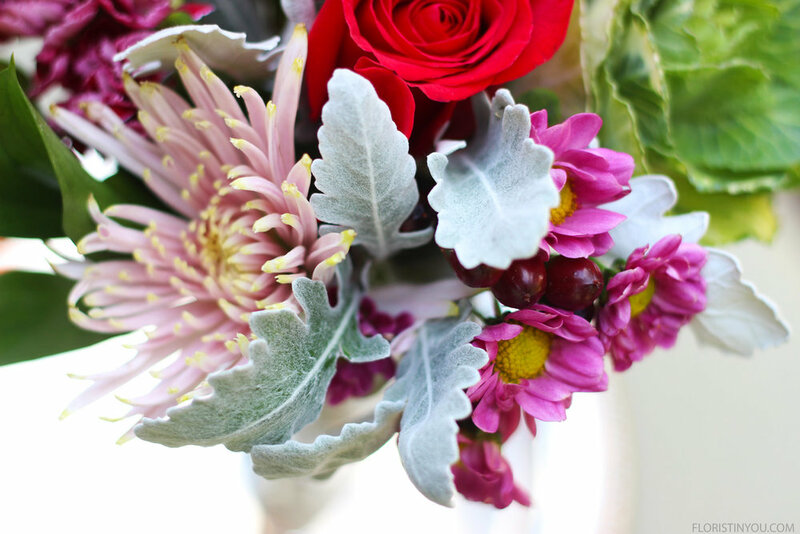 Love the fuzzy Dusty Miller, red berries and fucshia daisys. There is a nice combination of colors and textures. Look at the yellow tipped pink Spider Mum. Fun. Well Mum, you are done, in about 2 shakes. Enjoy!